Dr. Ernst-Slavit is professor of education and ELL. 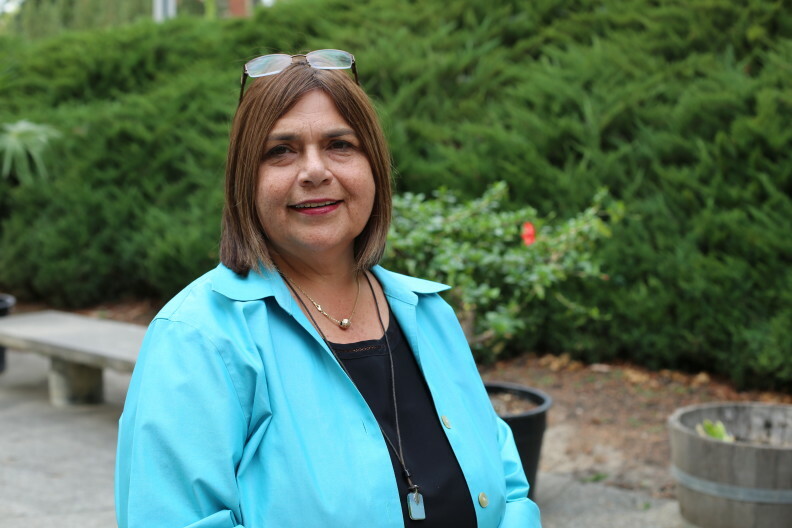 She teaches courses in sociolinguistics, literacy and biliteracy, research on second language teaching and learning, ESL methods, and critical issues in the education of Latino students. She is a past president of WAESOL (Washington State English to Speakers of Other Languages). Excellence in Diversity (2014), Washington State University, College of Education. Huie-Rogers Faculty Fellowship in Diversity (2010-2012). Mentor of the Year Award (2012). College of Education Department of Teaching and Learning. Excellence in External Funding Award (2008), College of Education, Teaching & Learning. Director of TEAMs project, a $1.3 million grant to expand and enhance the preparation of ELL teachers and school administrators in Southwest WA (2002-2008). 2014 – Academic Language in Diverse Classrooms: Definitions and Contexts, coauthored w/ M. Gottlieb. Corwin. 2014 – Academic Language in Diverse Classrooms: English Language Arts, Grades 6-8, coedited w/ M. Gottlieb. Corwin. 2014 – Academic Language in Diverse Classrooms: English Language Arts, Grades 3-5, coedited w/ M. Gottlieb. Corwin. 2014 – Academic Language in Diverse Classrooms: English Language Arts, Grades K-2, coedited w/ M. Gottlieb, Corwin. 2013 – Academic Language in Diverse Classrooms: Mathematics, Grades 6-8, coedited w/ M. Gottlieb. Corwin. 2013 – Academic Language in Diverse Classrooms: Mathematics, Grades 3-5, coedited w/ M. Gottlieb. Corwin. 2013 – Academic Language in Diverse Classrooms: Mathematics, Grades K-2, coedited w/ M. Gottlieb, Corwin. 2010 – Access to Academics: Planning Instruction for K-12 Classrooms with ELLs,coauthored w/ J. Egbert. Pearson. 2009 – Paper to Practice: Using the PreK-12 English Language Proficiency Standards,coauthored w/ M. Gottlieb & A. Katz. TESOL. 2013 Mathematically Speaking. Language Magazine, March, pp. 32-36. Coauthored w/ D. Slavit. 2011 “Words that hold us up:” Teacher talk and academic language in five upper elementary classrooms. Linguistics and Education, 22(4), pp. 430-40. Coauthored w/ M.Mason. 2011 – Teacher knowledge and minority students: The potential of saberes docentes. Pedagogies: An International Journal, 6(1), 1-15, Coauthored w/ D. Poveda. 2010 – Representations of Native Americans in elementary school social studies: A critical look at instructional language. Multicultural Education, 18(1), 10-17. Coauthored w/ M. Mason.